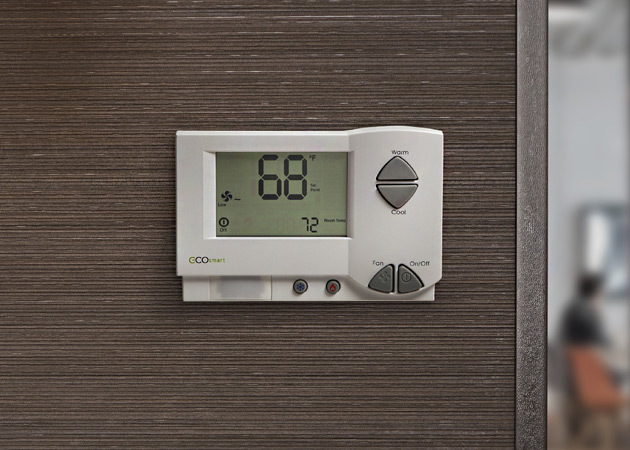 The EcoAir Remote Display, part of the EcoWave Remote Thermostat Package, offers a flexible solution for energy savings. With its more traditional design, the EcoAir is similar to the EcoTouch+ in that it can be the wireless interface component to the EcoSource+ HVAC Controller. 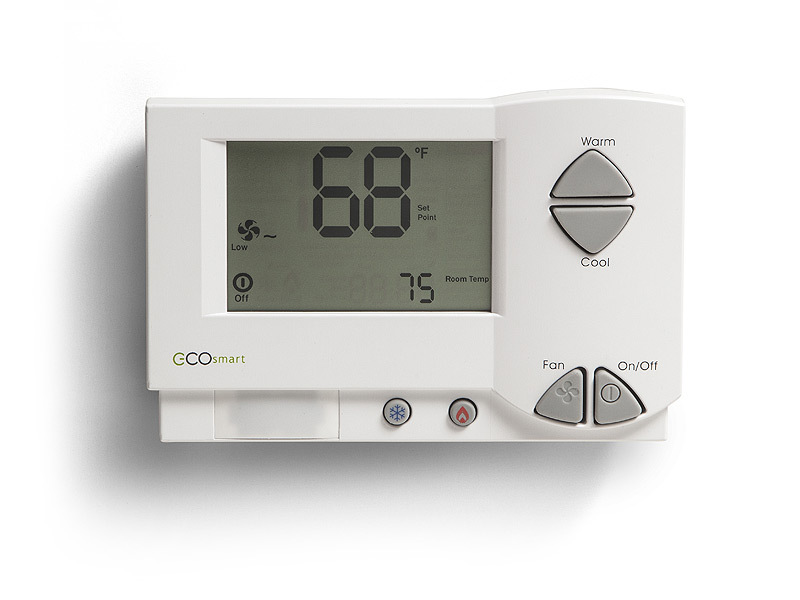 The EcoAir Remote Display Thermostat is the interface component of the EcoWave Remote Thermostat Package. The EcoAir offers easy installation in almost any building environment--simply place the EcoAir display in the optimum location for occupant temperature measurement and ease of occupant use. To provide flexibility for system architecture, the EcoAir can operate wirelessly, powered with two AA batteries, or be hardwired to the EcoSource. Both communication styles offer complete, two-way interaction between the EcoAir and EcoSource. Using occupancy information from the on-board passive infrared sensor, optional external EcoSense sensor, or the optional EcoContact door contact, the EcoAir will determine when a space is occupied or vacant and communicate that information to the EcoSource. When a room is determined to be unoccupied, the system can revert to a temperature limit set by the operator or implement Telkonet’s proprietary Recovery Time™ technology. By installing the EcoAir and EcoSource as part of a full EcoSmartTM networked solution, a building manager gains full remote control capability of individual thermostats. 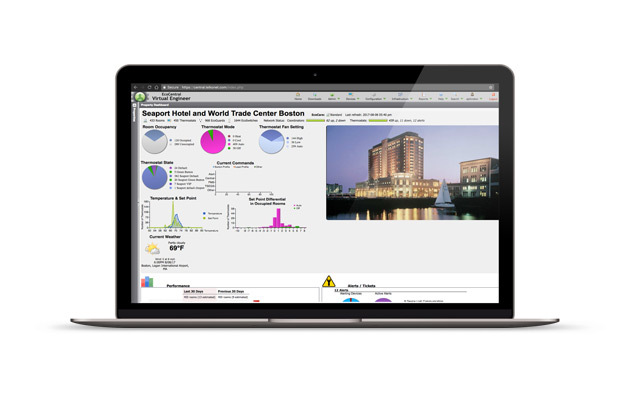 A setpoint or mode can be changed room-by-room over the secure web-based EcoCentral™ Virtual Engineer command center. Global site changes to setpoint ranges, setbacks, or even scheduled load shed events can be made easily by grouping the settings into new profiles, which can be delivered to a group of thermostats at a time. As part of the EcoWave system, the EcoAir can reduce equipment runtime and energy consumption in unoccupied rooms by 20-45%.